Definition at line 375 of file tdi.h. Definition at line 377 of file tdi.h. 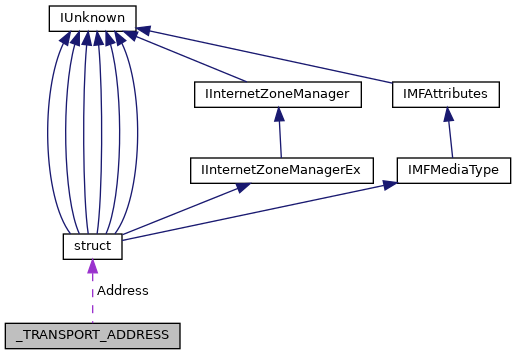 Referenced by AddrBuildAddress(), AddrGetAddress(), AfdBind(), AfdConnect(), AfdSendTo(), InfoTdiQueryGetConnectionTcpTable(), SatisfyPacketRecvRequest(), TaLengthOfTransportAddress(), WSPAccept(), WSPBind(), WSPConnect(), WSPGetPeerName(), and WSPGetSockName(). Definition at line 376 of file tdi.h. Referenced by AddrGetAddress(), AfdBind(), AfdConnect(), AfdSendTo(), InfoTdiQueryGetConnectionTcpTable(), SatisfyPacketRecvRequest(), WSPBind(), and WSPConnect().